Dental practices have a duty of care to ensure that an effective and safe service is provided to their patients. 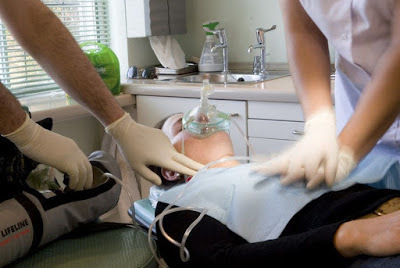 The satisfactory performance in a medical emergency in the dental practice has wide-ranging implications in terms of equipment, training, standards of care, clinical governance, risk management and clinical audit. Maintaining the knowledge and competence to deal with medical emergencies is an important aspect of all dental care professionals’ (DCPs’) continuing professional development (CPD).1 The updated posters described in this article are designed to be aide-memoires to assist DCPs to safely and effectively manage medical emergencies occurring in their workplace.